A good search engine does not attempt to return the pages that best match the input query. A good search engine tries to answer the underlying question. If you become aware of this you’ll understand why Google (and other search engines), use a complex algorithm to determine what results they should return. The factors in the algorithm consist of “hard factors” as the number of backlinks to a page and perhaps some social recommendations through likes and +1′ s. These are usually external influences. You also have the factors on the page itself. 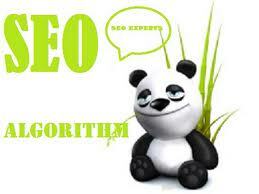 For this the way a page is build and various page elements play a role in the algorithm. But only by analyzing the on-site and off-site factors is it possible for Google to determine which pages will answer is the question behind the query. For this Google will have to analyze the text on a page. In this article I will elaborate on the problems of a search engine and optional solutions. At the end of this article we haven’t revealed Google’s algorithm (unfortunately), but we’ll be one step closer to understand some advice we often give as an SEO. There will be some formulas, but do not panic. This article isn’t just about those formulas. The article contains a excel file. Oh and the best thing: I will use some Dutch delights to illustrate the problems. If we were to build a search engine, the first step is tokenization of the text. We want to be able to quickly determine which documents contain a term. This is easier if we all put tokens in a database. A token is any single term in a text, so how many tokens does Doc1 contain? At the moment you started to answer this question for yourself, you probably thought about the definition of a “term”. Actually, in the example “New York” should be recognized as one term. How we can determine that the two individual words are actually one word is outside the scope of this article, so at the moment we threat each separate word as a separate token. So we have 10 tokens in Doc1 and 11 tokens in Doc2. To avoid duplication of information in our database, we will store types and not the tokens. Types are the unique tokens in a text. In the example Doc1 contains twice the token “and”. In this example I ignore the fact that “and” appears once with and once without being capitalized. As with the determination of a term, there are techniques to determine whether something actually needs to be capitalized. In this case, we assume that we can store it without a capital and that “And” & “and” are the same type. By storing all the types in the database with the documents where we can find them, we’re able to search within the database with the help of Booleans. The search “croquets” will result in both Doc1 and Doc2. The search for “croquets AND bitterballen” will only return Doc1 as a result. The problem with this method is that you are likely to get too much or too little results. In addition, it lacks the ability to organize the results. If we want to improve our method we have to determine what we can use other then the presence / absence of a term in a document. Which on-page factors would you use to organize the results if you were Google? Because at some point everyone started abusing the weights assigned to for example the description, it became more important for Google to split the body in different zones and assign a different weight to each individual zone in the body. This is quite difficult because the web contains a variety of documents with different structures. The interpretation of an XML document by such a machine is quite simple. When interpreting an HTML document it becomes harder for a machine. The structure and tags are much more limited, which makes the analysis more difficult. Of course there will be HTML5 in the near future and Google supports microformats, but it still has its limitations. For example if you know that Google assigns more weight to content within the <content> tag and less to content in the <footer> tag, you’ll never use the <footer> tag. To determine the context of a page, Google will have to divide a web page into blocks. This way Google can judge which blocks on a page are important and which are not. One of the methods that can be used is the text / code ratio. A block on a page that contains much more text than HTML code contains probably the main content on the page. A block that contains many links / HTML code and little content is probably the menu. This is why choosing the right WYSIWYG editor is very important. Some of these editors use a a lot of unnecessary HTML code. The use of text / code ratio is just one of the methods which a search engine can use to divide a page into blocks. Bill Slawski talked about identifying blocks earlier this year. The advantage of the zone indexes method is that you can calculate quite simple a score for each document. A disadvantage of course is that many documents can get the same score. When I asked you to think of on-page factors you would use to determine relevance of a document, you probably thought about the frequency of the query terms. It is a logical step to increase weight to each document using the search terms more often. Some SEO agencies stick to the story of using the keywords on a certain percentage in the text. We all know that isn’t true, but let me show you why. I’ll try to explain it on the basis of the following examples. Here are some formulas to emerge, but as I said it is the outline of the story that matters. The numbers in the table below are the number of occurrences of a word in the document (also called term frequency or tf). So which document has a better score for the query: croquets and bitterballen ? Document 2 is in this case closer related to the query. In this example the term “and” gains the most weight, but is this fair? It is a stop word, and we like to give it only a little value. We can achieve this by using inverse document frequency (tf-idf), which is the opposite of document frequency (df). Document frequency is the number of documents where a term occurs. Inverse document frequency is, well, the opposite. As the number of documents in which a term grows, idf will shrink. You can calculate idf by dividing the total number of documents you have in your corpus by the number of documents containing the term and then take the logarithm of that quotient. Now Doc1 has a better score. But now we don’t take the length into account. One document can contain much more content then another document, without being more relevant. A long document gains a higher score quite easy with this method. Query terms – each separate term in the query. Document frequency – how many documents does Google know containing that term? Here’s an example where I actually used the model. The website had a page that was designed to rank for “fiets kopen” which is Dutch for “buying bikes”. The problem was that the wrong page (the homepage) was ranking for the query. For the formula, we include the previously mentioned inverse document frequency (idf). For this we need the total number of documents in the index of Google. For this we assume N = 10.4 billion. After a few days, Google crawled the page and the document I changed started to rank for the term. We can conclude that the number of times you use a term is not necessarily important. It is important to find the right balance for the terms you want to rank. To perform this calculation for each document that meets the search query, cost a lot of processing power. You can fix this by adding some static values ​​to determine for which documents you want to calculate the score. For example PageRank is a good static value. When you first calculate the score for the pages matching the query and having an high PageRank, you have a good change to find some documents which would end up in the top 10 of the results anyway. Another possibility is the use of champion lists. For each term take only the top N documents with the best score for that term. If you then have a multi term query, you can intersect those lists to find documents containing all query terms and probably have a high score. Only if there are too few documents containing all terms, you can search in all documents. So you’re not going to rank by only finding the best vector score, you have the have your statics scores right as well. Relevance feedback is assigning more or less value to a term in a query, based on the relevance of a document. Using relevance feedback, a search engine can change the user query without telling the user. The first step here is to determine whether a document is relevant or not. Although there are search engines where you can specify if a result or a document is relevant or not, Google hasn’t had such a function for a long time. Their first attempt was by adding the favorite star at the search results. Now they are trying it with the Google+ button. If enough people start pushing the button at a certain result, Google will start considering the document relevant for that query. Another method is to look at the current pages that rank well. These will be considered relevant. The danger of this method is topic drift. If you’re looking for bitterballen and croquettes, and the best ranking pages are all snack bars in Amsterdam, the danger is that you will assign value to Amsterdam and end up with just snack bars in Amsterdam in the results. Another way for Google is to use is by simply using data mining. They can also look at the CTR of different pages. Pages where the CTR is higher and have a lower bounce rate then average can be considered relevant. Pages with a very high bounce rate will just be irrelevant. The value for each term is the weight that it gets in your query. We can use those weights in our vector calculations. Although the term Amsterdam was given a score of -0.5, the adjust negative values back to 0. In this way we do not exclude terms from the search results. And although café did not appear in the original query, it was added and was given a weight in the new query. Suppose Google uses this way of relevance feedback, then you could look at pages that already rank for a particular query. By using the same vocabulary, you can ensure that you get the most out of this way of relevance feedback.